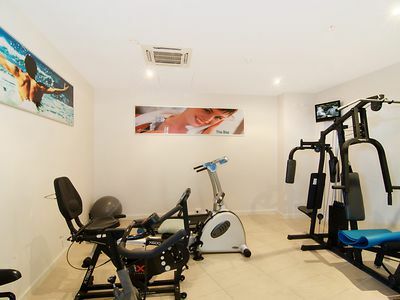 Spacious apartment in desirable complex! 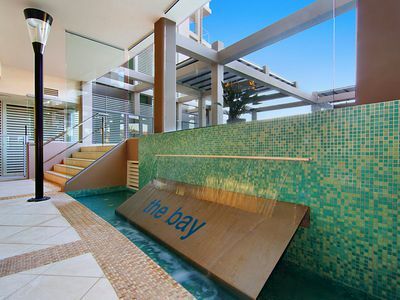 There are just so many features to enjoy if you move into 'The Bay' complex at Scarborough. 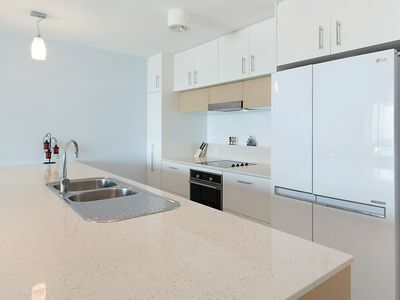 Not only is Unit 16 a very spacious (199m2) three bedroom apartment, but its design is practical and well thought out. 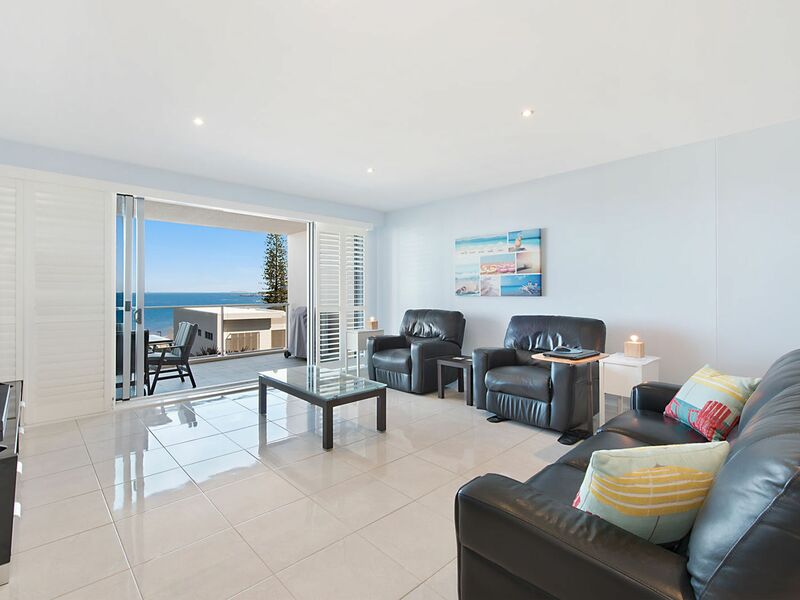 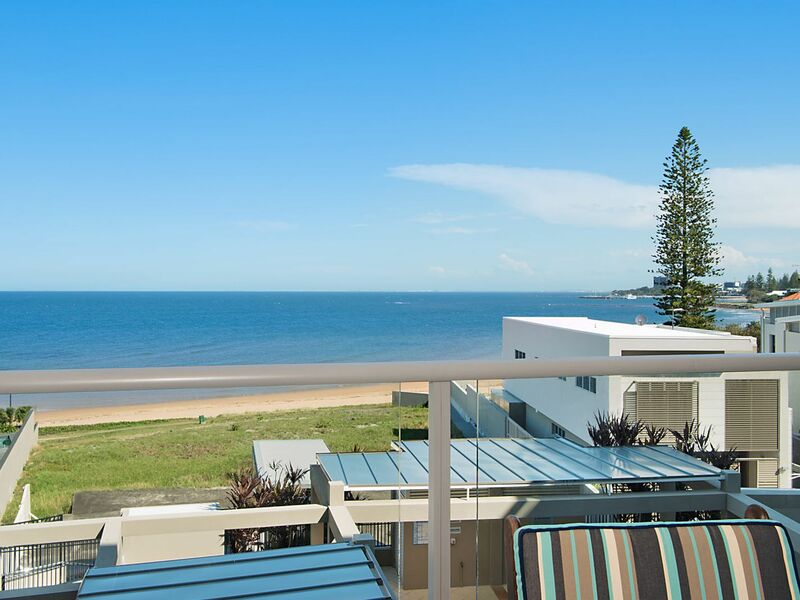 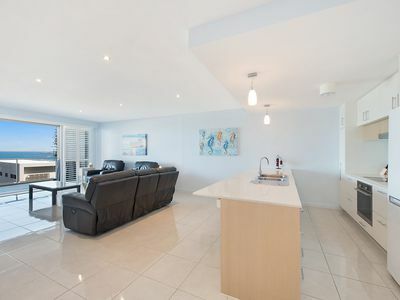 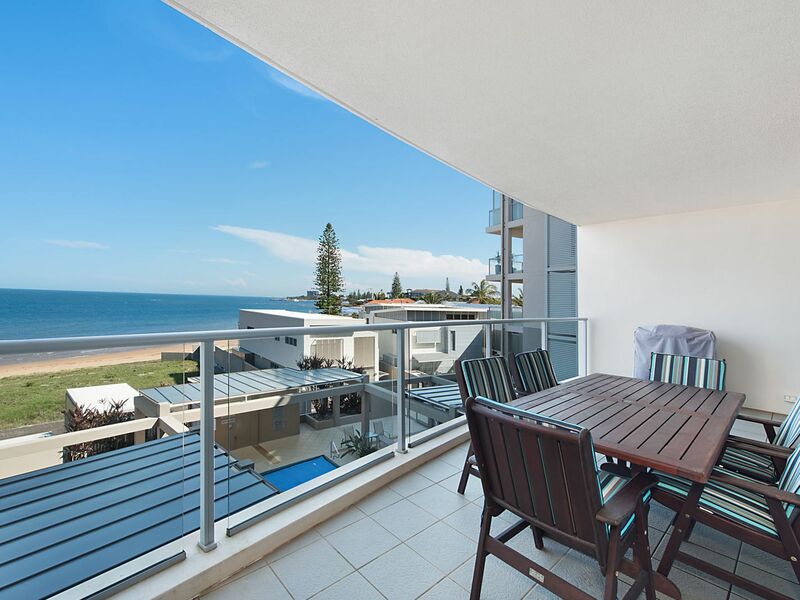 With views that cannot be built out you will always be able to enjoy the gorgeous Bay outlook plus the delightful pretty night lights of both Redcliffe and all the way back to the Port of Brisbane. 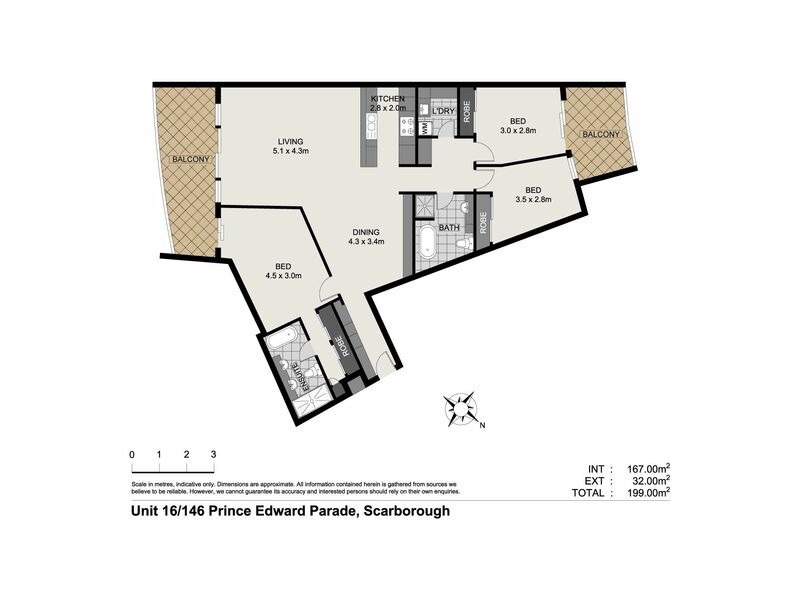 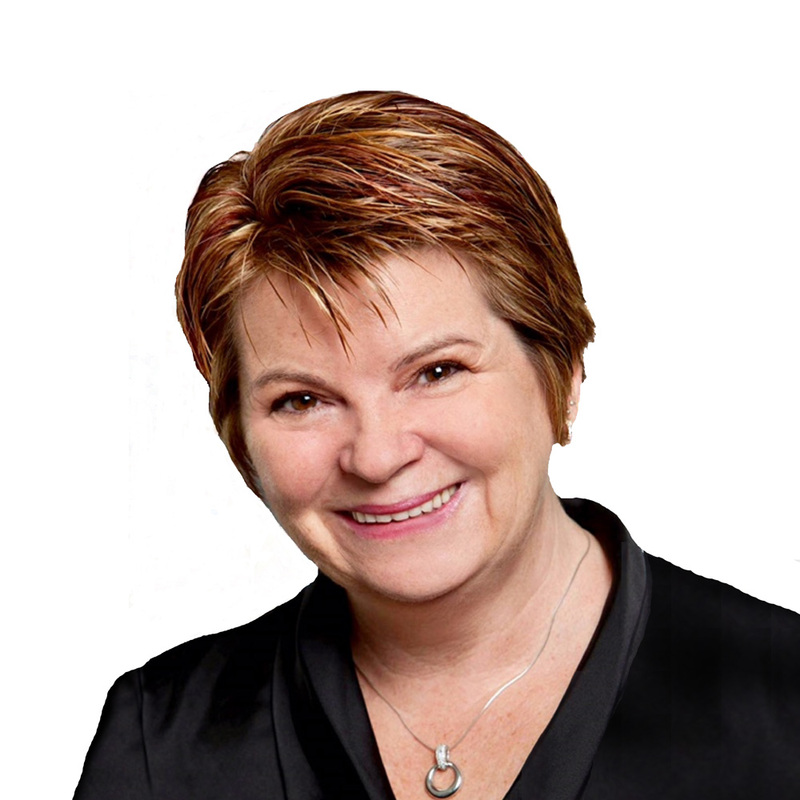 It's important for buyers to know that any new home built on the visible vacant block has a height restriction - the same level as the ones either side, so you will always have a water view. 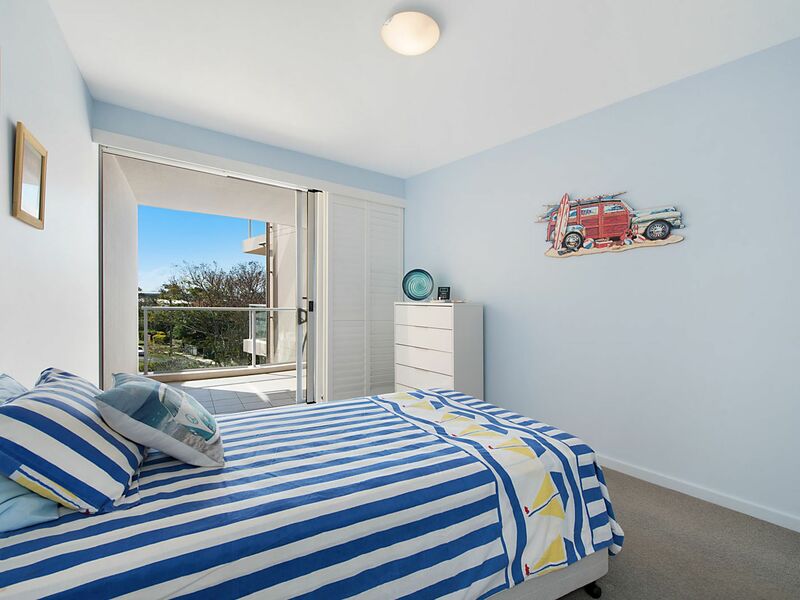 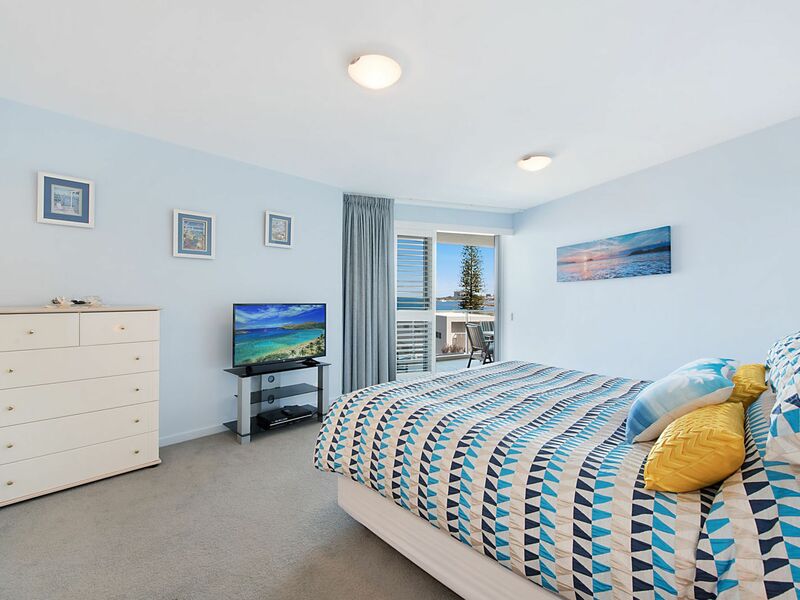 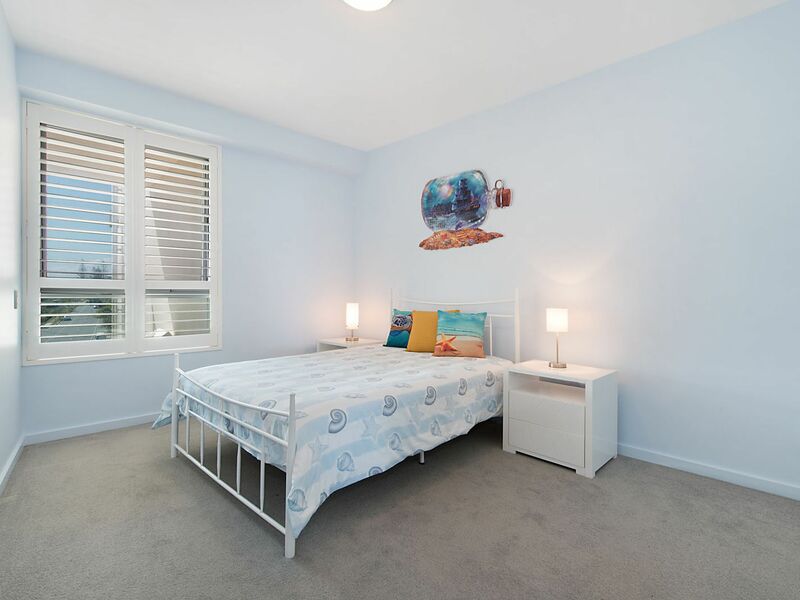 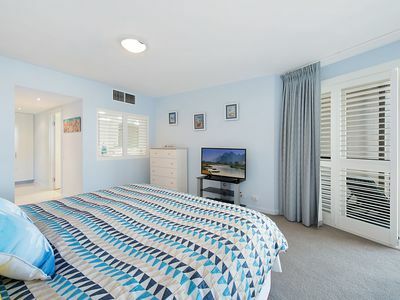 The very large Master bedroom opens up to the balcony facing the Queens Beach, so you can fall to sleep listening to the water lapping at the foreshore. 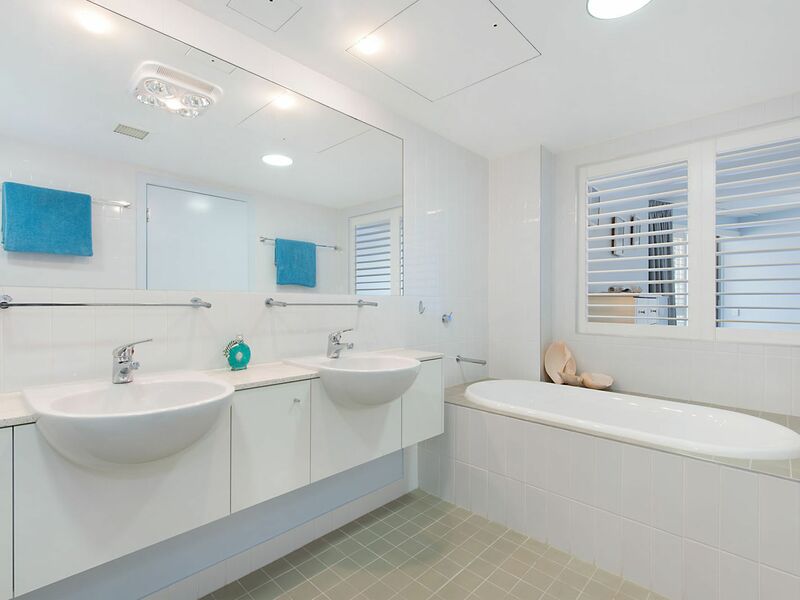 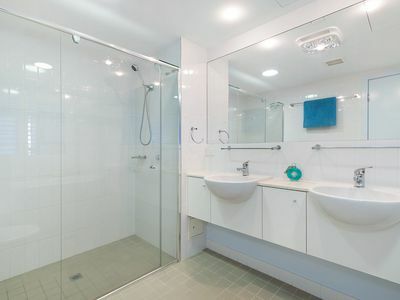 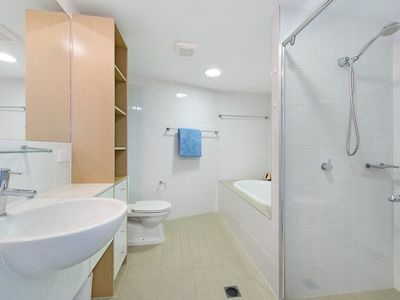 Both ensuite and spare bathroom are bigger than most and the apartment has tons of storage cupboards throughout. 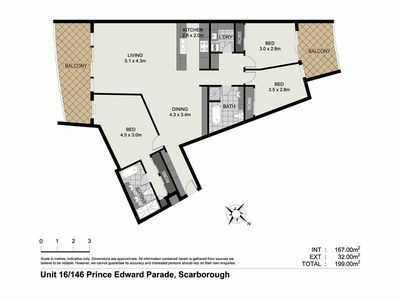 Superbly located approximately halfway between Redcliffe and Scarborough, you can walk out the door and decide which way you fancy wandering off for your morning walk! 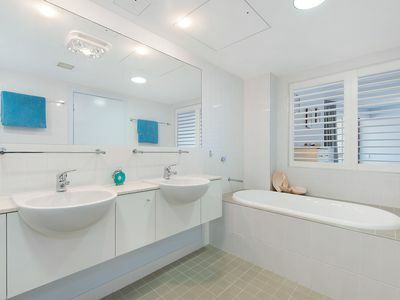 It's such a desirable lifestyle choice with happy residents who enjoy an living in an attractive, well-serviced building. 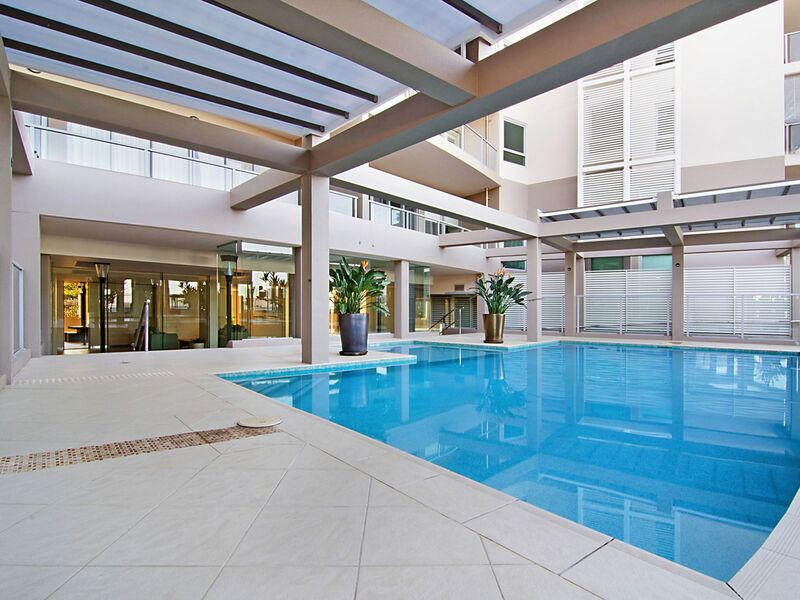 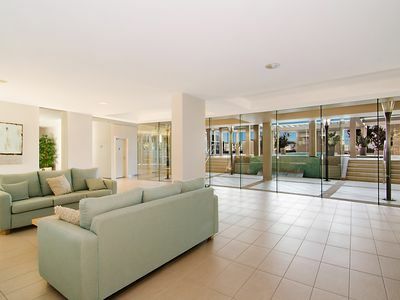 The lovely foyer features a gorgeous pool, spa, gym and large common area. Even the secure basement carpark is well-serviced, with a bathroom (ideal if you are downstairs in your garage area),a car wash station along with direct access to the beachfront via a tunnel walkway (meaning you can wheel a kayak or bikes from your garage through to the waterfront). Fully enclosed double garages are rare in unit complexes and this one is certainly bigger than average with plenty of storage room - perfect for those down-sizing from larger family homes who still want somewhere to 'potter or tinker'. 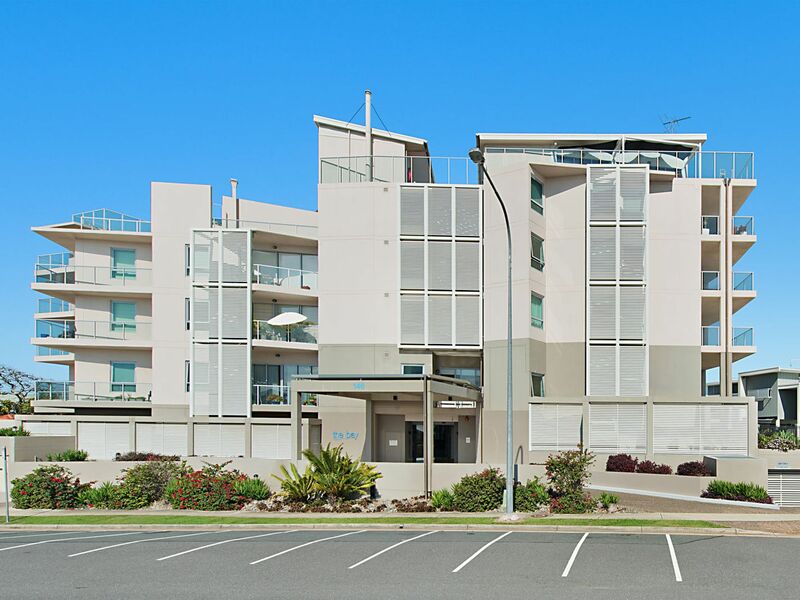 As there is no road in front of this unit, there is minimal (if any) traffic noise either! 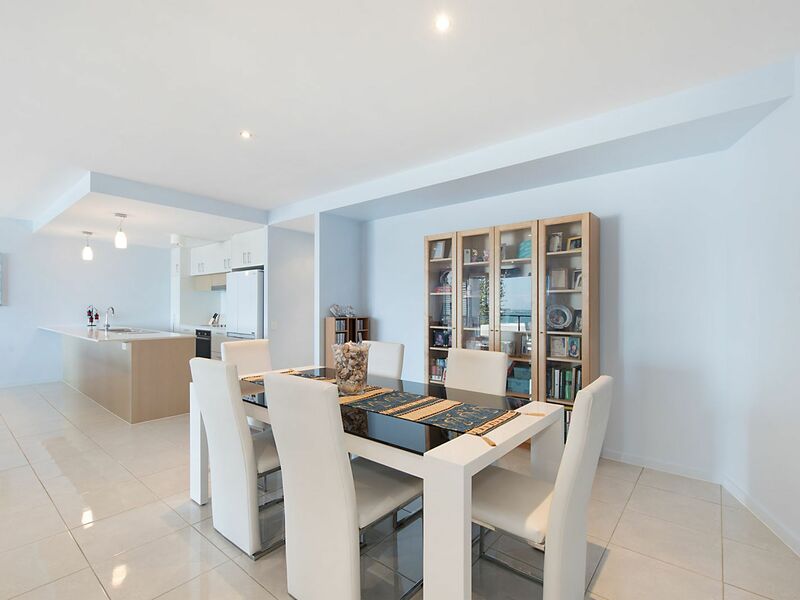 This lovely apartment is well worth an inspection, so it should definitely be on your list of apartments to view! 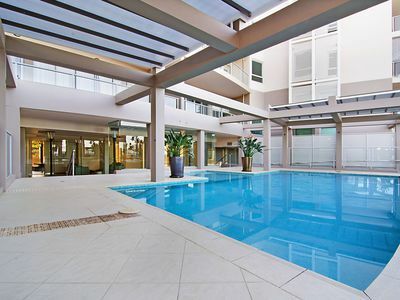 You need to make an appointment to view this apartment to appreciate all of the above, so call Karen Prince now on 0437 015 951 to arrange a time!